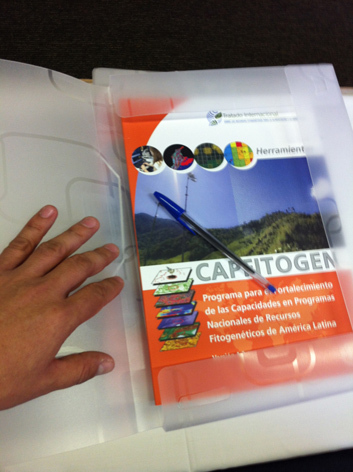 Now, with a simple and straightaway address on internet (http://capfitogen.net/en), CAPFITOGEN users and any interested public may learn more about the Programme to Strengthen Capabilities in National Plant Genetic Resources Programs in Latin America, better known as CAPFITOGEN Program. 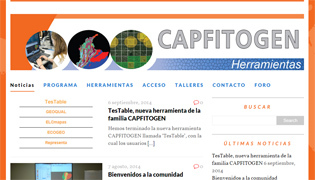 Henceforth, any news or information regarding CAPFITOGEN will be posted on this website, which in turn, features an Spanish version (http://capfitogen.net/es). In addition, for those who work in this tools will be a pleasure to address any questions or concerns through the CAPFITOGEN forum, opened while the website.